It’s no secret that Benton Heights Elementary School of the Arts fourth grader Hamilton Salinas loves his school. When asked what he enjoys most, Hamilton barely hesitates before rattling off the number of opportunities and clubs that have been made available to him, courtesy of the school’s participation in the A+ School program which integrates arts into all areas of curriculum and instruction. Now, thanks to their school’s first Leadership Day, he added, everyone else can learn what makes Benton Heights Elementary so special. 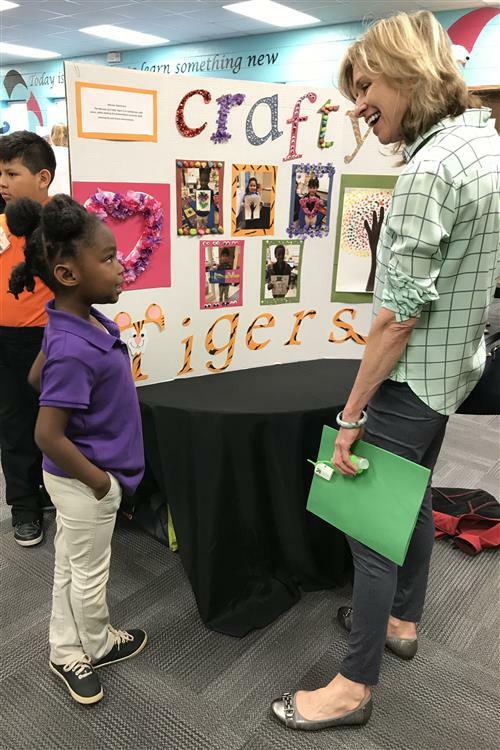 The inaugural Benton Heights Elementary Leadership Day provided an opportunity for the school to celebrate its accomplishments, show off the progress students have made with their academics as well as showcase their talents and leadership skills. It also allowed community members to see how Leader in Me — the whole-school transformation process that teaches leadership skills and creates a culture of student empowerment — drives the culture of the school. During the event, student leaders served as tour guides and escorted local business and community leaders around the school while student ambassadors were on hand to talk about the school’s Leader in Me principles as well as their classroom’s vision, mission and goals. A Leadership Day at an arts-focused school wouldn’t be complete without the students putting their talents on display. Throughout the day, students in every grade level participated in a variety of performances that featured the school’s band, orchestra, dance team, chorus, robotics team and step team. 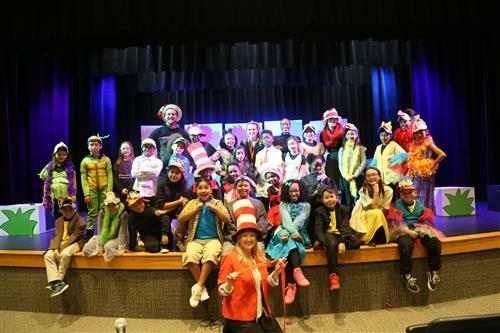 The drama club performed excerpts from the Lion King Kids musical and students also participated in a pep rally and talent show. When asked what she hoped students would take away from their inaugural Leadership Day, Dr. Boatright said her goal was for them to have pride in their school. ©2018 NC Department of Public Instruction. All Rights Reserved.